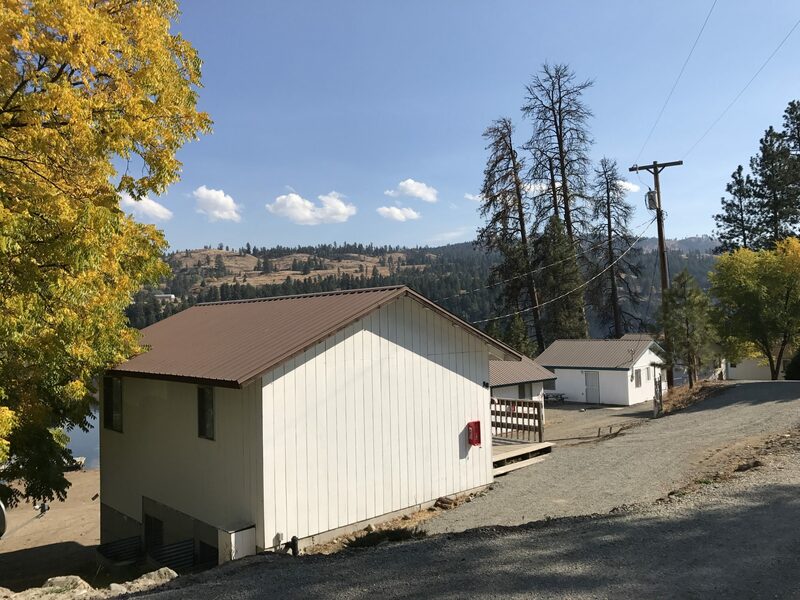 Enjoy life at the lake in this two story, three bedroom lakeview cabin. This large cabin for six features three downstairs bedrooms, one of which is furnished with two queen beds. Enjoy dining on the picnic table outdoors on your private deck, or inside while looking out the large glass windows facing the lake, we are sure you will have a memorable experience. Free Wi-Fi access. 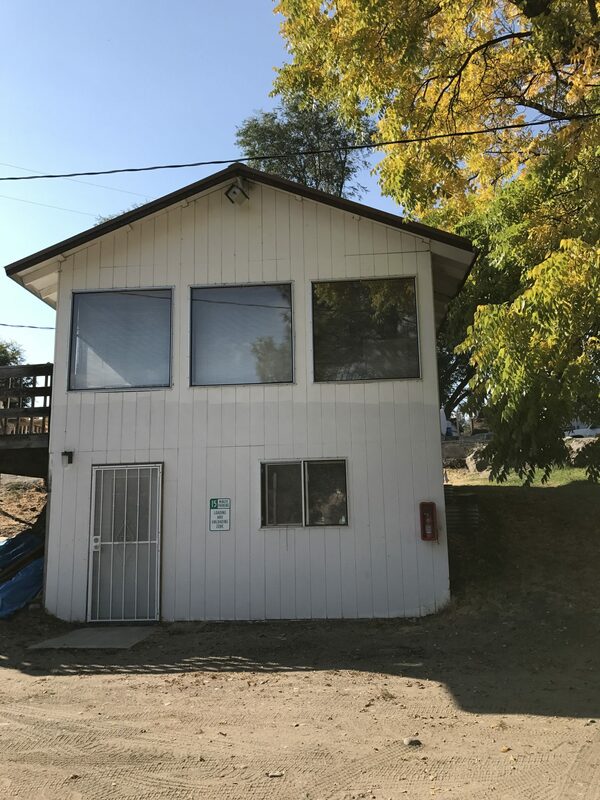 This large two story cabin has screen doors upstairs and down to maximize air flow throughout the cabin. Large windows offer fantastic views of the lake which is just steps away! See resort map. 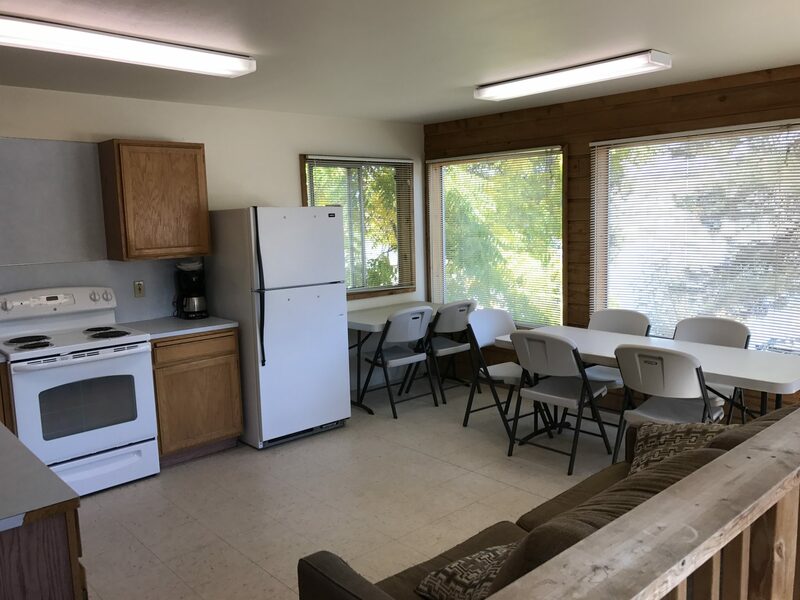 The kitchen includes a microwave oven, toaster, coffee pot with filters, electric oven/stove, full size refrigerator with freezer, cooking and eating utensils and more. We want to make this your home away from home!